Dr. Mukesh Verma is the Program Director and Chief in the Methods and Technologies Branch (MTB), Epidemiology and Genetics Research Program (EGRP) of the Division of Cancer Control and Population Sciences (DCCPS) at the National Cancer Institute (NCI), National Institutes of Health (NIH). Before coming to the DCCPS, he was the Program Director in the Division of Cancer Prevention (DCP), NCI, providing direction in the areas of Biomarkers, Early detection, Risk assessment, Cancer prevention and Cancers associated with Infectious Agents. Dr. Mukesh Verma holds a M.Sc. from Pantnagar University and a Ph.D. from Banaras Hindu University, India. He did postdoctoral research at George Washington University and was a faculty member at Georgetown University. He has published 126 research articles and reviews and edited three books in Cancer Epigenetics and Epidemiology field. Biomarkers, epigenetics, epidemiology technologies, proteomics, microRNA, methylation, mitochondria, nanotechnology, risk assessment, susceptibility factors and systems genetics. 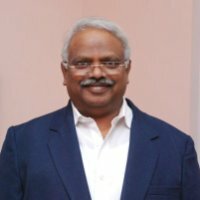 Dr. P.Kuganantham is serving as City Health Officer,Chennai..He is the recipient of “Life Time Achievement Award” from Dr.MGR Medical University. Graduated M.B.B.S from Stanley Medical College, D.P.H. Madras Medical College, DTM&H- London School of Hygiene & Tropical Medicine,MPH & W.H.O.Fellowship- Epidemiology,Infectious diseases & AIDS --Johns Hopkins,U.S.A. He served as Director, Communicable Diseases Hospital, Chennai, Project Director for Public Health Foundation of India, CDC Consultant TN, Program Officer, PPTCT & Consultant UNICEF Chennai, Associate Professor, Infectious Diseases for the Medical Colleges under University of Madras, Team Leader, Gujarat Earth Quake Medical Relief Team, Member of the Steering Committee, AIDS CELL, Tamil Nadu. He identified the new strain of Vibrio Cholera i.e., Vibrio Cholera Non 01,0139 for the first time and named it as ‘ MADRAS STRAIN”. Bruce M. Rothschild graduated from New Jersey College of Medicine in 1973. He is a Fellow of the American College of Physicians, American College of Rheumatology and Society of Skeletal Radiology and elected to the International Skeletal Society. He has been recognized for his work in Rheumatology and Skeletal Pathology where his special interests focus on clinical-anatomic-radiologic correlation, data-based paleopathology, evolution of inflammatory arthritis and tuberculosis and management of inflammatory arthritis. He is widely recognized for his contributions to understanding radiologic manifestations of rheumatologic disease.He has been a Visiting Professor at universities in the US, Canada, the Carribean, South America, Europe, the Middle East, South Africa, Asia and Australia and has been an invited lecturer at universities, hospital and museums throughout the world. Kenneth Blum is currently Chairman of the Board and Chief Scientific Officer of LifeGen, Inc. San Diego, California and managing partner of Reward Deficiency Solutions, LLC, and San Diego, California. He was formerly Full Professor of Pharmacology, University of Texas, at San Antonio, Texas for 23 years (retired). He is currently Full Professor of the Department of Psychiatry and McKnight Brain Institute University of Florida College of Medicine, Gainesville Florida. He served as Research Professor in the Department of Physiology and Pharmacology, Wake forest College of Medicine, Winston-Salem, North Carolina. 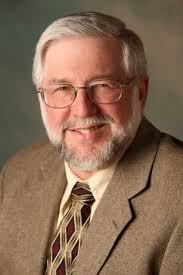 He serves as scientific Director, PATH Foundation, NY, New York. He has received numerous awards including NIDA Career Teacher Award; American Chemical Society Speakers Award; Gordon Conference Research Award; Presidential Excellence award (National Council of Alcoholism and Drug Abuse). Dr Blum has authored and edited eleven books, was an editor â€“in â€“chief of an Elsevier Journal, and has published over 400 peer reviewed papers. Coined â€œBrain Reward Cascade and Reward Deficiency Syndrome RDS) and is credited as the lead author in the first association of the Dopamine D2 receptor gene with severe alcoholism (JAMA, 1990). He is considered by many as the father of Psychiatric Genetics.â€ and Neuroadaptagen Amino-Acid Therapy (NAAT). Dr. Blum holds both US & foreign patents on Nutrigenomics. He serves on 7 editorial boards and is the associate editor on two boards including section editor of Integrative Omics and Applied Biotechnology journal and is an ad hock reviewer for 40 journals world-wide. 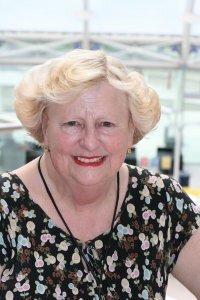 Professor Diana Anderson currently holds the Established Chair of the Division of Biomedical Sciences at the University of Bradford, UK. She obtained her first degree in the University of Wales and second degree in the Faculty of Medicine, University of Manchester. After tutoring at the University of Sydney, Australia, she became a research worker in the Department of Cancer Studies at the University of Leeds and at the Paterson Laboratories, Christie Hospital, Manchester. In 1974, she was appointed as Head of Mutagenesis Studies at ICI’s Central Toxicology Laboratory. Professor Anderson joined BIBRA International in 1981 as Head of Genetic and Reproductive Toxicology and became Assistant Director and Group Forum Co-ordinator in 1987. In 1992, she became Senior Associate and Co-ordinator of External Affairs at BIBRA. She has attended various management courses. She has served on the editorial board of 8 international journals plus 2 online journals, has over 400 publications, has edited/authored 8 books and guest-edited 9 special issues of 4 International journals. She is Series Editor of books in Current Toxicology for John Wiley and Sons and Issues in Toxicology for the Royal Society of Chemistry. She is an active Committee member and has been Vice-President of the Institute of Biology. She has successfully supervised 22 PhD, 2 MPhil and 2 MSc (Res) students, is currently supervising other PhDs and has managed several postdoctoral positions. She has been external examiner for 29 PhDs and was External Examiner for the Dept. of Genetics, University of Wales, Swansea. She has been invited to speak at many International meetings and chair numerous symposia. She has helped establish new research laboratories in India and Korea under the auspices of the British Council and UNIDO. Funded by various international agencies, scientists from America, Australia, the Czech Republic, Italy, India, Iran, Korea, Poland, Serbia, Spain and Turkey have received training under her supervision. She has organised both National and International meetings and was/is a member of various national (e.g. MRC Advisory Board, Veterinary Products Committee) and was of International committees, including the European Union Scientific Committee for Animal Nutrition (SCAN). She recently won a prize as an Enterprise Fellow. She has hosted and participated in 56 meetings for WHO/IPCS. She is a consultant for many international organisations, such as the WHO, NATO, TWAS, UNIDO and the OECD. Dr. Jennifer J. Hu has completed her Ph.D. from UMDNJ-New Jersey Medical School and postdoctoral studies from Rutgers University School of Medicine. She currently serves as the Associate Director of Cancer Prevention and Control at the Sylvester Comprehensive Cancer Center and the Sylvester Professor of the University of Miami School of Medicine. She has published more than 65 papers in high-impact journals and served as a reviewer in multiple journals and NIH/NCI/DOD study sections. Her research mainly focuses on the application of molecular and genetic epidemiology in predicting human cancer risk assessment, treatment response, and clinical outcomes. Dr. Hu's research interests include molecular and genetic epidemiology studies of DNA-repair genotypes and phenotypes in human cancer risk, progression, treatment outcome and prevention. Her current research focuses on genome-wide scan, data mining and predictive model development for gene-gene and gene-environment interactions in human cancer risk and survivorship. 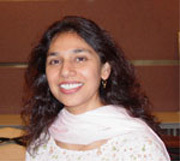 Dr Mirza received her PhD in Microbiology from University of Alabama at Birmingham in 2006. Currently she is an Assistant Professor at the University Of Texas Health Science Center Houston School Of Public Health. She has published over 15 manuscripts in high impact factor journals. Currently Dr Mirza is serving on Editorial boards of Epidemiology and Clinical Chemistry and Laboratory Medicine. 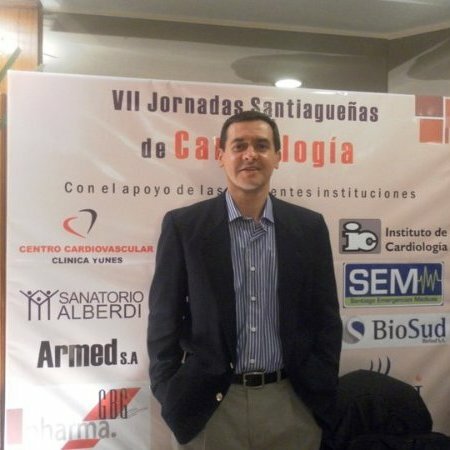 He has been Graduated from National University of Tucuman, Argentina as Medical Doctor, with the specialties including Internal Medicine, Social and Community Medicine and Diploma in Cardiology from the National University of Tucuman and Medical Clinic National Academy of Medicine Argentina. Later on he obtained his post-graduation from National University of Cuyo with subjects Pharmacology & Biology and then started working at The Nurses School, Faculty of Humanities, Social Sciences and Health, National University of Santiago del Estero, Argentina where he has continued his research. Presently he has been working at the at the Regional Hospital Dr. Ramon Carrillo, Santiago del Estero City. He has got eminent memberships in many Scientific Societies including Internal Medicine and Cardiology at the Society of Santiago del Estero, Argentina, Membership of Argentina Federation of Cardiology, Membership of Hypertension Committee of Argentina Federation of Cardiology, Membership of Inter American Society of Cardiology and Board of Epidemiology of Inter American Society of Cardiology.